Designed for industrial, commercial and residential applications. 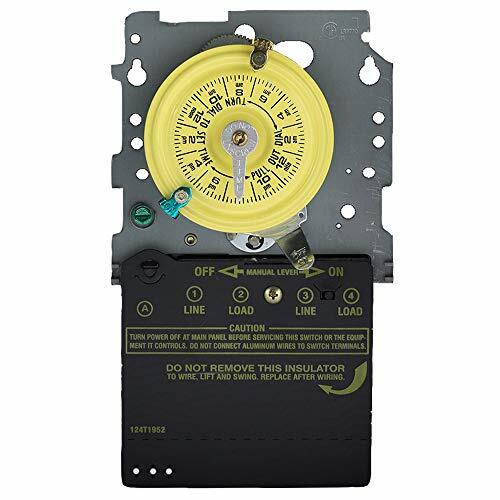 The Heavy Duty 40 Amp 208/277 Volt Timer has the highest horsepower ratings in the industry for loads up to 40 amps resistive from 208/277 volts providing direct 24 hour time switch control. 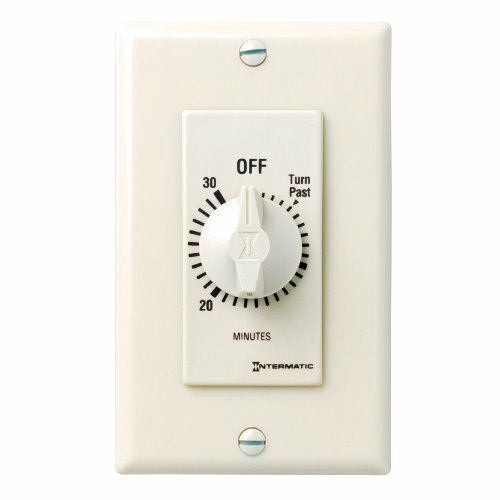 This series provides from 1 to 12 "ON/OFF" operations daily with minimum ON/OFF times of 1 hour. 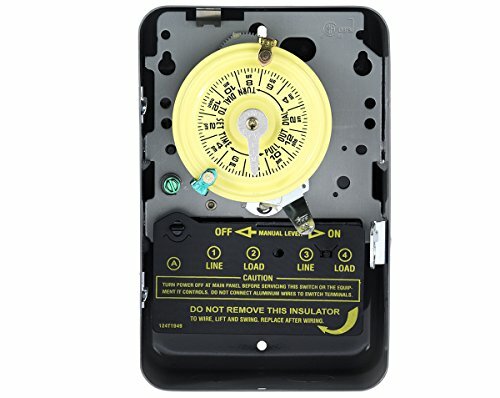 This products comes with the timer mechanism, metal case and one "On" and one "Off" tripper. Applications include entryway lighting, deck light controls, landscape light controls, bathroom fan, attic fan, pumps, hallway lighting, small commercial signage, store lighting, and more. 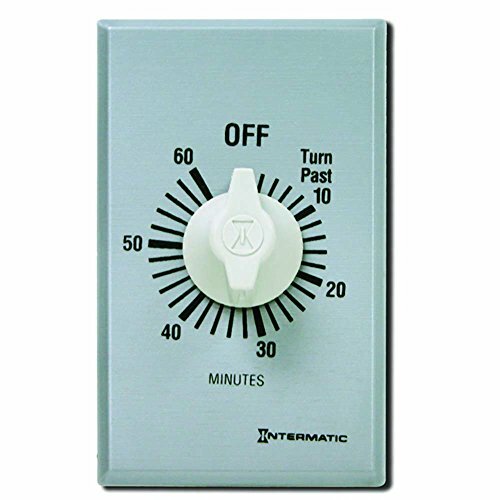 Intermatic's self-adjusting wall switch timer allows you to set it and forget it! Never bother with resetting again, unless you want to. 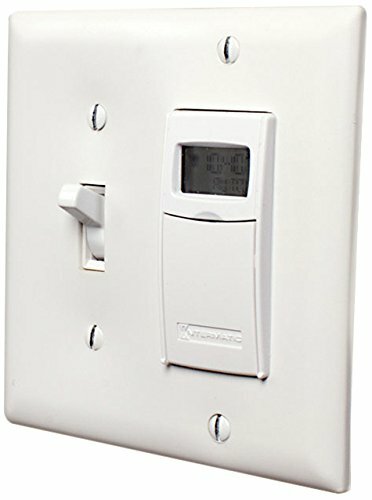 This timer utilizes an astronomical feature to keep track of daily sunrise/sunset changes. 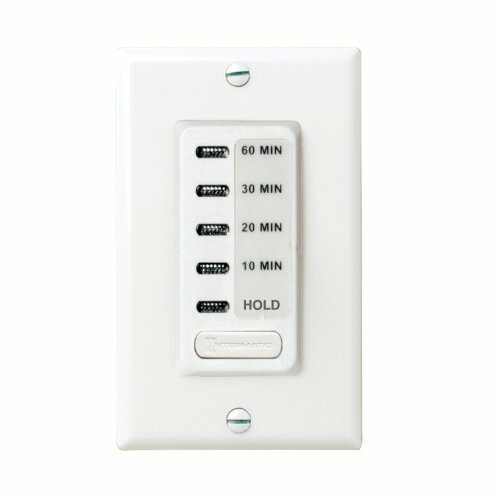 The timer is for use with single-pole or 3-way applications, allowing you to control multiple devices with one timer. 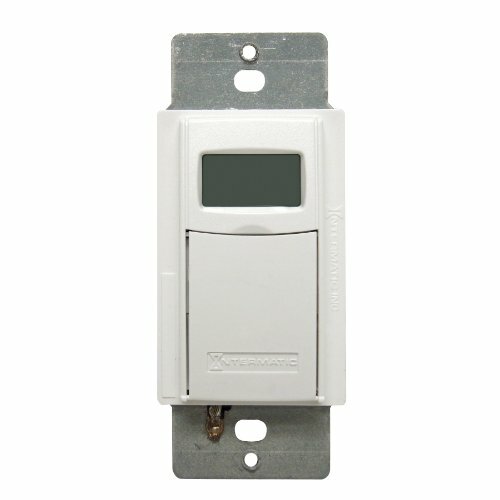 The large LCD display provides an easy readout of monitor activity. In addition, the optional random setting can vary the time your devices turn on by a few minutes. No neutral required. 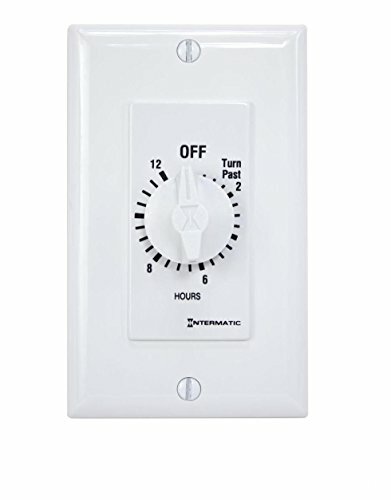 Intermatic Timer, Decorator Electronic Auto Shut-OFF, In-Wall, Series: EI200, 120 V, 15 A, 60 Hz, 1800 W Power, 1 Poles, 10, 20, 30, 60 min Time Setting, 32 - 122 deg F, 2-3/4 in Overall Height, 1-3/4 in Overall Width, 1-1/2 in Overall Depth, White, UL Listed, For CFLs, LEDs, Fans. .
Model T104M 24-hour timer mechanism for use in T104 or T104R enclosures. Mechanism only. One year warranty. 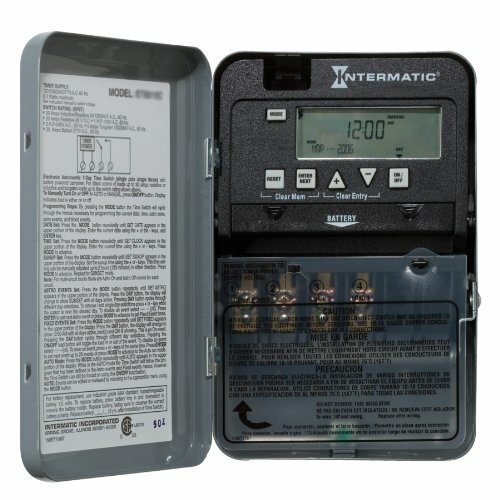 Intermatic electromechanical timer, series: T100, 125 v, 40 a, 60 Hz, 2 w power, 2 poles, dpst, 1 - 23 hr time setting, 1 - 12 cyclesper day cycles, -40 to 130 deg F, type 1 indoor steel, 7-3/4 in overall height, 5 in overall width, 3 in overall depth, enamel, Gray, includes: switch, CSA certified, UL listed, for industrial. 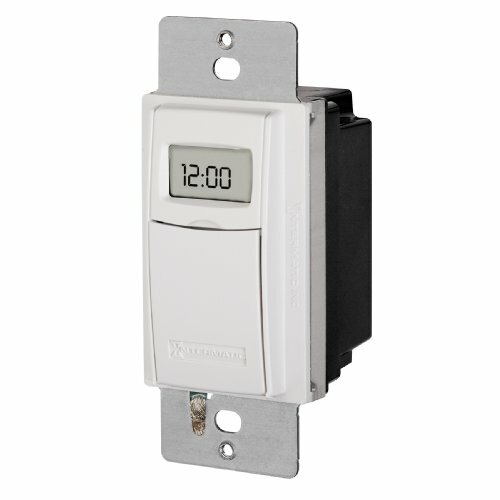 This series offers an easy way to upgrade from a basic mechanical time switch to an electronic time switch. 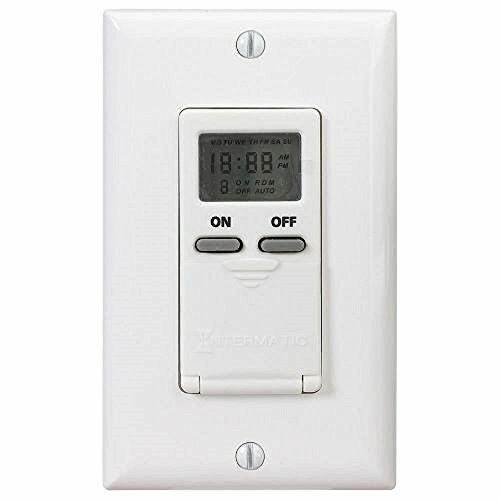 These timers will allow for up-to-the-minute programming, battery backup for power loss, up to 14 ON/OFF setpoints per circuit, and automatic daylight saving time corrections without the need of user interaction. They come in standard 24-hour, 7-day and 7-day Astronomic versions. 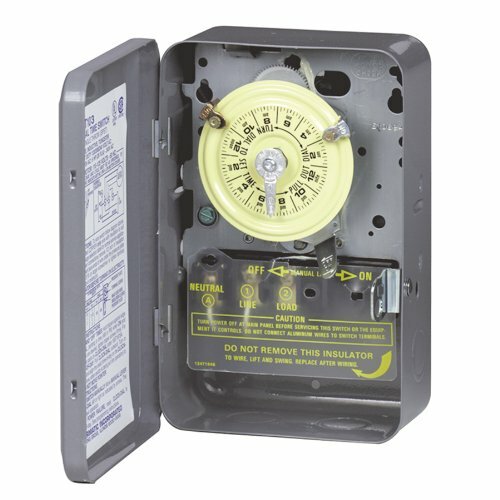 These Heavy-Duty In-Wall Timers are ideal for turning on lights, fans, pumps and other heavy duty loads for energy savings, security, and convenience. 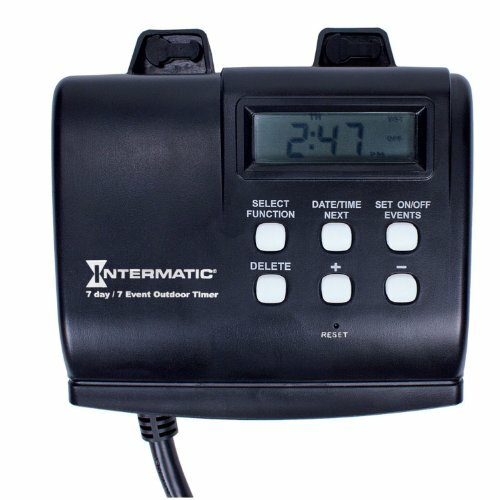 The timer provides up to 12 ON and 12 OFF operations per day. 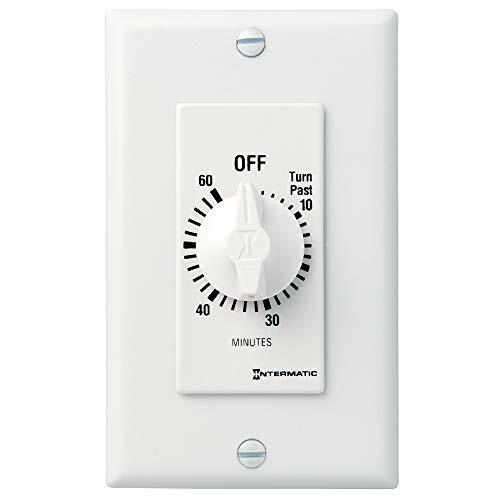 For installation on 15 amp circuits, this timer provides 24-hour or 7-day programming of lights (incandescent/fluorescent/CFL/LED compatible), fans, pumps and other medium-duty loads. Random mode varies on/off Schedule to provide a "lived-in" appearance. 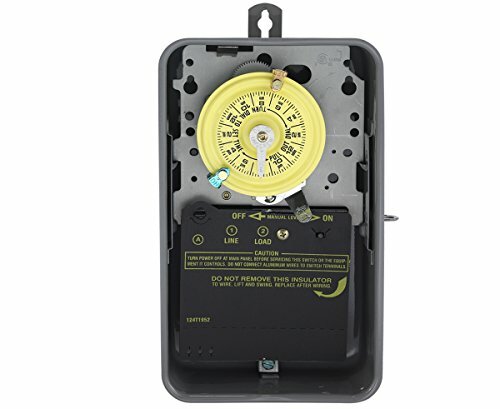 This item features a built-in rechargeable, non-serviceable battery backup and requires a neutral connection for installation. 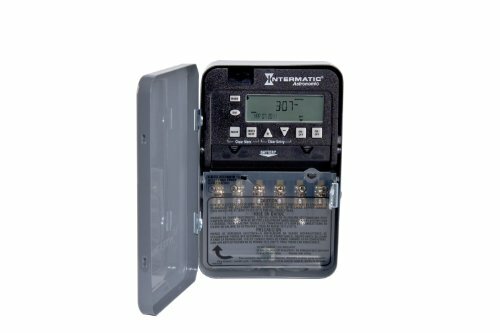 Applications - Pumps - Water Fountains - Aerators - Landscape/Holiday Lighting - Engine Block Heaters - Retail Signage and Store Lighting Features - 14 ON/OFF programmable events - Full 7-day programming options, including astronomical clock, automatic DST adjustment, and random mode - Rainproof, outdoor rated enclosure with two grounded receptacles - 3-prong plug on a 24” long cord - Incandescent/fluorescent/CFL/LED compatible - AA battery backup (included) - Plugs directly into wall outlet This 120 Volt, 15 Amp Intermatic outdoor digital timer is an easy to set 7 day timer with Astronomic feature (follows daily changes in sunrise/sunset times), automatic daylight saving time adjustment and 7 ON/OFF events. 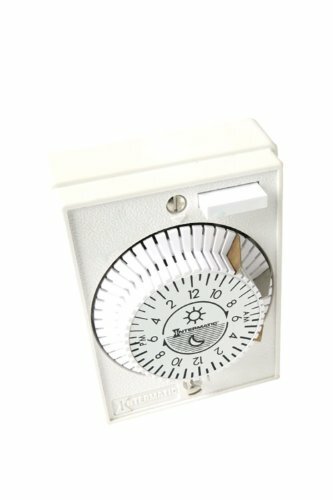 For additional safety and security the HB880R also features random setting to turn lights ON and OFF at slightly different times each day. 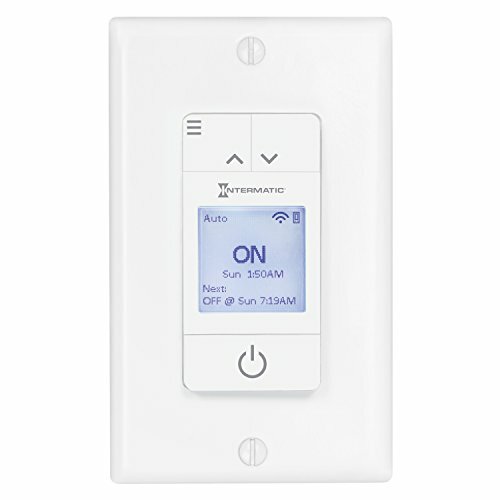 Controls LED, CFL, incandescent and fluorescent lights. Ideal for holiday lights, flood lights, landscape lights, fountain lights and engine block heaters. 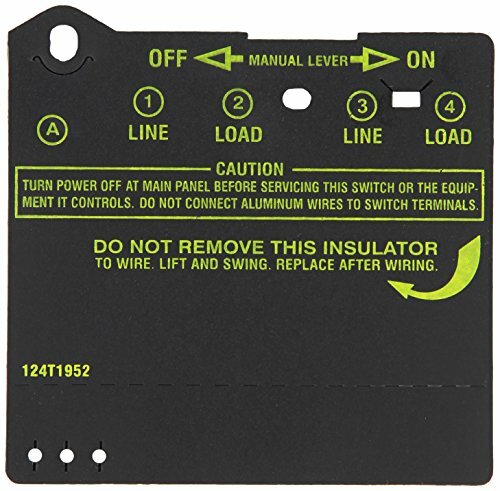 Two (2) timed grounded receptacles and 24-inch heavy duty cord. Replaces Intermatic model HB800RCL.